You will be met by our Tour Company representative who will pick you from the airport and transfer you to your proposed accommodation site in Kampala. If your flight arrives in the morning, you will embark on the city tour and visit prominent places and some of Kampala's historical sites with the help of our driver/guide. 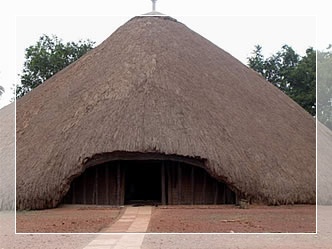 This can be done in places like; Kasubi Tombs, Wamala tombs, Namugongo Martyrs Shrine, Museums and craft shops around town like on Bombo road name it. Dinner and overnight at your hotel of a good standing. From Kampala, you will drive towards the west, have a stop over at the equator for photographs, and then proceed to Bwindi arriving in the evening for relaxation, dinner and overnight at Gorilla Resort/ Buhoma community bandas. There is an early morning entry in to the forest. The rain forest offers spectacular, dramatic, heavily forested and dense landscape crisscrossed by numerous animal trails, allowing access for tourists. Given the fact that gorilla tracking is unpredictable, it is difficult to foresee how many hours you will actually hike. 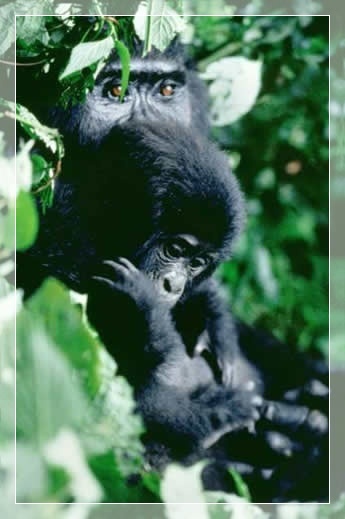 The escapade of tracking the gorillas in the superb ecosystem of the park will be passionate for the adventurers. It may take 2hrs up to 8 hours or more and you should be prepared to a walk long distance in steep and muddy conditions, sometimes with rain overhead, before you encounter any gorillas. 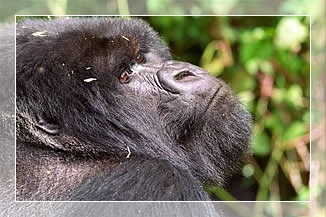 "The excitement of seeing the gorillas makes it all worthwhile!" Briefing will be given on how to behave and handle these gentle giants. Dinner and overnight at Luxury Gorilla Forest camp /Mid Range Lake Kitandara luxury tents / Buhoma Homestead or basic at Buhoma Community Bandas. After breakfast fast, drive to Kisoro and cross the border to Ruhengeri in Rwanda. 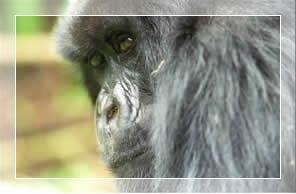 Dinner and overnight at Mountain Gorilla Nest or Kinigi Guest House. Early morning departure for the mountain gorilla tracking. After the briefing from the authorities of the park, set off for the trekking into the rain tropical forest searching for the habituated gorilla family. 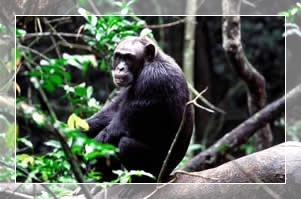 You remain close to the beautiful primates for over one hour, for observation and photography. Make sure you carry with you packed lunch and water. After a Lunch break, we depart for Lake Bunyonyi for dinner and overnight at Bunyonyi Overland camp or Arcadia cottages. After a hearty breakfast, head to Kampala having lunch enroute. You will be transferred to the airport for your flight.